Enriched with immense industrial knowledge, we are engaged in offering a technically updated variety of Seed Separator that is highly demanded by the clients . - Uses a pressurized vacuum method to provide high efficiency cleaning and precise upgrade separations of various agricultural and industrial products. small lot batch separation (lab model only). - Total visibility of all product movement. By using skills of experts, we are involved in providing a wide range of Industrial Separator. Patrons can avail this product from us at nominal costs in dissimilar specifications. This Machine seperates Seeds from its Shell. Size: 2.5 ft width x 5 ft length. Driven By: 1.5 to 2 hp Electric Motor. 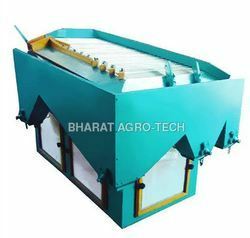 With thorough expertise and understanding of this industry, we are enormously involved in offering a quality assured range of Seed Separator . 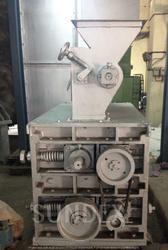 We are a renowned name, which is engaged in offering a wide and comprehensive range of Seed Separator . We are enlisted amongst the leading names in the industry offering our clients wide range of Seed Separator .